Flight schools and instructors nationwide should be paying close attention to California Assembly Bill 48 (AB-48), which imposes new requirements (and fees that pay for their administration by the Bureau of Private Post-secondary Education) on those who educate pilots aspiring to an aviation career. (Schools and CFIs that teach people to fly for recreation are exempt.) This is legislation that could easily travel to other states. If they want to avoid the situation those in California now face, schools and instructors must break out of their aviation cocoons and get proactive. Breaking out of the cocoon in critical. AB-48 makes clear that flight schools and instructors are not in the aviation business. 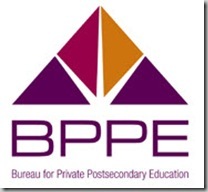 They are in the education business, specifically post-secondary education, which AB-48 conventionally defines: “Postsecondary education” means a formal institutional educational program whose curriculum is designed primarily for students who have completed or terminated their secondary education or are beyond the compulsory age of secondary education, including programs whose purpose is academic, vocational, or continuing professional education. Aviation was exempt from the old post-secondary regs, and the Initial Statement of Reasons explains why AB-48 “Repeal[ed] section 73470 (FAA Certified Flight Schools) – “This section is obsolete because it is based on the former law.” The same rationale applies to truck drivers and others, so it’s not just about aviation. The tacit reiteration is that AB-48 is not about what a school teaches, but rather the sound operation of an educational institution, which includes protecting students. Looking at it another way, no matter what their course of study, had private post-secondary schools followed accepted educational business practices, legislators wouldn’t have to impose the requirements on all of them to protect students from the unscrupulous few. Some schools are exempt from AB-48, and their common denominator is that they have been accredited by an agency approved by the US Department of Education. Having participated in two reaccreditation exercises at the private college-prep military school I worked for, the standards, from reports to site visits, mirrored AB-48’s requirements. The same is true for the accreditation standards of the Accrediting Commission of Career Schools and Colleges (ACCSC). Like AB-48, ACCSC serves a variety of educational disciplines. It has accredited 31 aviation schools, 16 for A&Ps, 10 for pilots, four technical colleges that train one, the other, or both, and one for dispatchers. Initial ACCSC accreditation takes 18 to 24 months and costs $10,000 or more, and schools must renew their accreditation every three years. The primary benefit, aside from guaranteeing students that they will get the education they pay for (or a tuition refund if the school closes), is that accreditation qualifies a school for federal student aid funds. Its requirements and fees aside, AB-48’s one-size-fits-all legislation is hits small schools harder than large ones, especially in aviation. Flight training institutions range from Part-141 behemoths with a faculty of a hundred or more to a single, freelance instructor preparing a student for a commercial or CFI checkride. Educating state legislators about this range before they write new requirements requires less traumatic effort than dealing with it after the fact, as California schools and CFIs are now doing. This entry was posted on Monday, June 7th, 2010 at 10:40 pm	and is filed under Airports, Aviation Marketing, Blogging, Flight Training, General. You can follow any responses to this entry through the RSS 2.0 feed. Both comments and pings are currently closed.